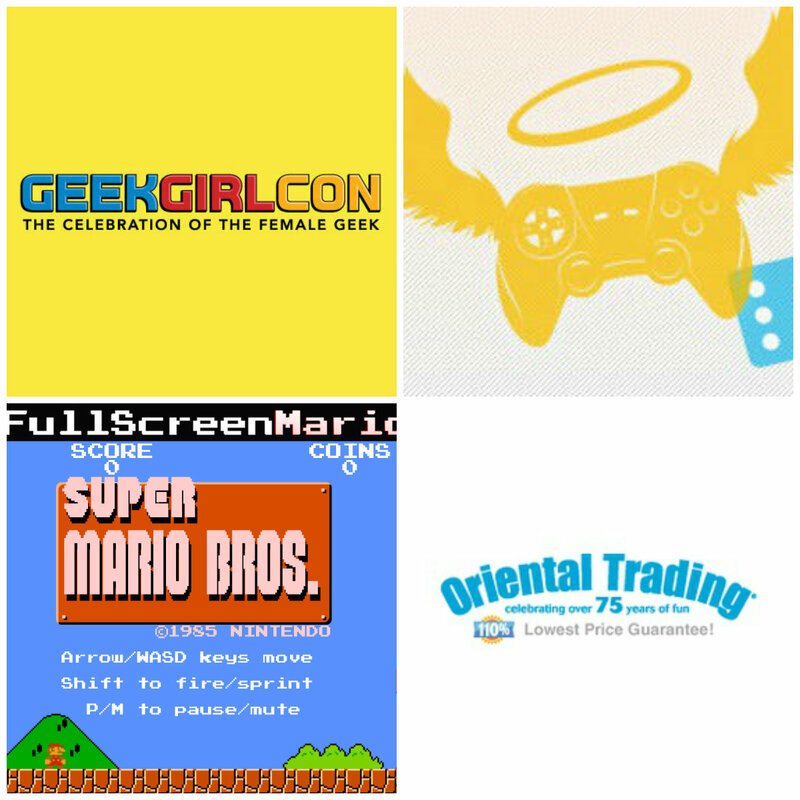 GeekGirlCon is this weekend! I’ll be writing up a full post later on where I’ll be and when, but regardless, I’m thrilled to spend a weekend with tons of lovely geeky women (and geeky women supporters). Tickets are sold out online, but a limited supply will be available at the door. Will I see you there? Extra Life is coming up on November 2nd and I still have to make a list of the video game-inspired food I’ll be making! I’ll be making all of the meals during the 25 hour time frame, and they all will be video game themed. Cheer me on by making a pledge, all the money goes to the Seattle Children’s Hospital! Let me know in the comments what video game food you’d like to see me make. When I need a quick break and a dose of nostalgia, I turn to Full Screen Mario. It’s got all of the levels you know and love plus a level generator for some new fun! Try it out now. I just received a new shipment from Oriental Trading this week with supplies for four different projects I’m currently working on. I love ordering from them because they have so many cool things, their prices are great, and it gets here fairly fast. I can’t wait to play with all of my new goodies! Start shopping.